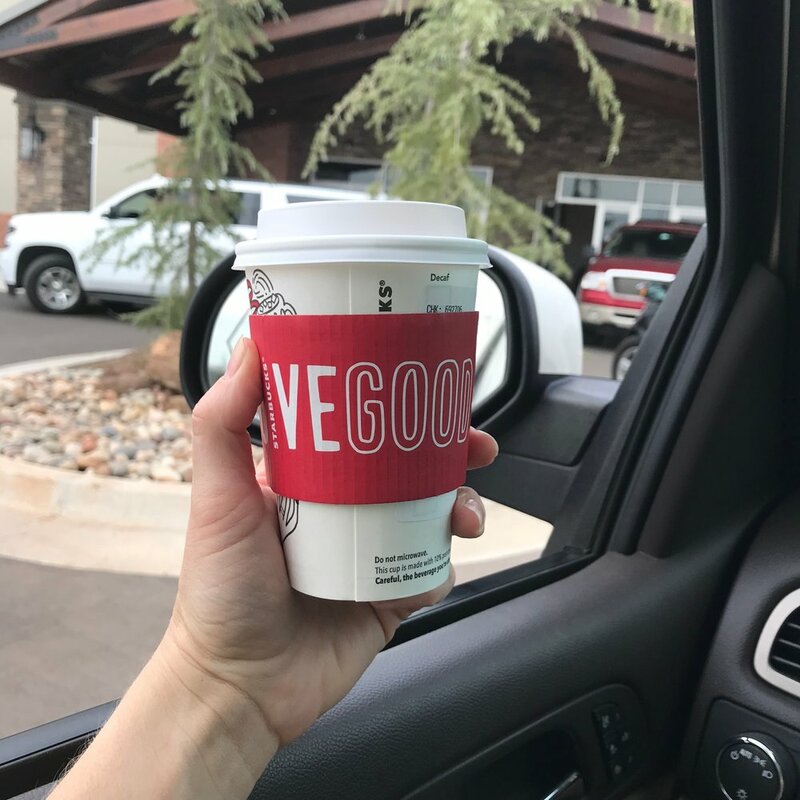 A sweet friend brought me a coffee in the carpool line last week...a total surprise to roll down my window when she walked over and handed me a yummy drink!! It was a perfect pick-me-up during that afternoon energy lull! Super thankful for friends who think outside the box in kindness and generosity. Those kind of friends are truly one of a kind. This simple act pushed me to want to give more...to pay it forward if you will. Isn't it funny how that can happen...we've all heard the stories of someone paying for someone behind them in the drive thru line and how it just keeps going after that. Those stories might seem old news...but they still give me chills. How can we be a better friend/sister/daughter/boss/school parent this holiday season? How can we start a little ripple of kindness and giving and LOVE? Even if its just something you do for a family member this coming week at your Thanksgiving gathering...do it. It will be worth it. Email me sarahelizabethlowe@gmail.com. Tell me you read this post, and tell me how you plan to pay it forward this week! I will email you a giftcard right then!! Yay for coffee and yay for kindness!!! !